All New Mini. 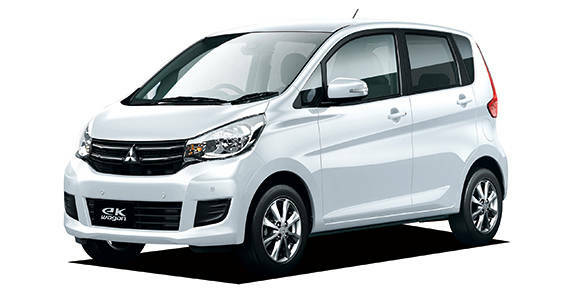 Currently the mini car has been launched as a result of cooperation between Mitsubishi and Nissan. All New Mitsubishi eK, that’s the name. At present the All New Mitsubishi eK has been sold in Japan. eK Wagon comes with a conventional design. eK X is more dynamic, with a dynamic shield design. The face of eK X is equipped with slanted headlight, two-color color and crossover supporting components, as well as side sills and bumpers. both are basically the same, it’s just that the eK X has a more attractive design of color and materials. the all-new Mitsubishi eK features Mi-Pilot driver assistance. This feature works when driving on the highway. The system helps accelerate, braking and steering when traveling far. Equipped with active cruise control features, lane keep assist, grip control, multi around monitor, and digital rearview monitor. The Mitsubishi eK is equipped with a 0.66L turbocharged 3-cylinder gasoline engine, according to the kei car rules. The engine is capable of producing 51 hp power and 60 Nm of torque, which is transferred through a CVT transmission. The eK Wagon machine is not provided with external assistance. eK X is combined with a mild-hybrid system, the system is claimed to provide fuel efficiency and provide greater power.